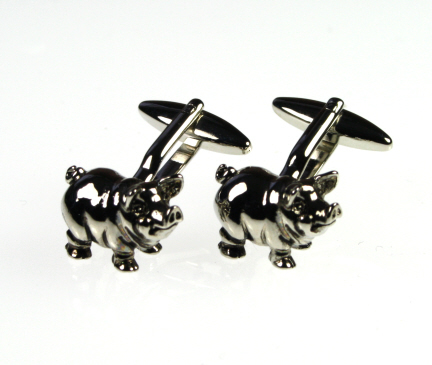 Our pig cufflinks have curly tails and a smile on their faces and don't look like they need a good meal! Isn't he just the cutest pig you have ever seen? He would melt the heart of any passerby. Pale pink coloured embroidered pigs on a navy premium quality English silk neck tie. Made in the UK.